Today, we live in a world that is drastically different from anything our species had ever experienced, or could have imagined. From traveling into the stars, and visiting alternate realities while in the safety of our homes, we have come a very long way in terms of our technological prowess. In almost all aspects of our lives, we have on some level altered the natural world around us so as to better fit our ideas of what the world should be like. From the animals we eat and the crops we cultivate, to the buildings we live in. It seems like us humans seem to alter everything we encounter. Marijuana is no different. Over the many millennia that we have been using cannabis, (which it has been many indeed), we have gone through some drastic social and economic changes. Up until recently, cannabis had been used all over the world as a standard medication. Some ancient grave sites even possess remnants of hemp or cannabis! It was only recently that the negative stigma against it began to take over, and with it, a great change started happening. Soon all research and development into cannabis, and related products came to a halt. Those who use it had to hide in the shadows, or fear persecution. This is still, even to this day, how the world is in many areas. However, over the last few decades, another shift has been changing the world of cannabis forever. There has been a recent push for legalization of both medical and recreational marijuana around the world and in many states here in the U.S. It is no surprise that we have laid our hands on this flower, and have altered it to fit our needs. One of the most dramatic examples of how we humans have altered it to our liking, is by way of cannabis concentrates. There are many forms of concentrates (we will get into just what those are later), but for the purposes of this article, we will be focusing on the act of dabbing. We will examine what this increasingly popular method of cannabis consumption is, how to do it, just exactly what it does, and whether it is safe! Follow us down the yellow brick road, and join us as we explore the world of Dabbing. To understand what dabbing is, how it works, etc., one must first understand what marijuana concentrates are in general. While most of us are familiar with the “bud”, the actual flower, there is a great deal more one can do with cannabis than just utilize the unprocessed flowers. Today, we have such a wide range of cannabis products that it seems like there is something wholly new each and every day. In terms of medical, (and even recreational) usage, the realm of concentrates holds a great deal of promise. In other words, concentrates are anything that is extracted from cannabis plant through one process or another, creating an extremely pure product “packed with cannabinoids in every drop”. This makes for a very powerful experience. When one consumes cannabis in a more traditional way (smoking, etc. ), it is a very different experience than when one consumes concentrates. For example, take the traditional method of using a bong. When one smokes a bowl in the bong, you are combusting all the plant matter present therein. Stems, leaves, plant material itself, everything. While of course we have been doing this for millennia, and it is quite effective, we have learned that we can extract the chemicals that are desired (THC, CBD, CBN, etc.) using one method or another. Then, we can reap great benefits while minimizing risk and side effects associated with carbonizing pure plant matter. Not only are you now consuming near pure THC, CBD, or whatever it might be, but you are now not consuming burnt plant matter. This is a very good thing. The oldest form of cannabis related concentrates, used for hundreds if not thousands of years, is the tincture. This oily liquid is placed under the tongue, and absorbed sublingually. Tinctures have been coming back with vengeance with new flavors, strengths and uses. Anywhere from treating children to pets, tinctures have a wide range of uses. CO2 oil is possibly the most useful for medical patients and is rather new when it comes to concentrates. This dark amber looking oil is created by taking only the essential compounds out of the cannabis flowers. With a very high percentage of THC, (or CBD) this oil is typically vaped via disposable cartridges that contain medical grade solvents to provide the oily consistence called polypropylene glycol. This stuff is strong, and one of the favorites! Possibly the strongest, and for that reason the most popular. Butane Hash Oil is extremely potent. Created from extracting the terpenes and cannabinoids from the flower through butane extraction, this waxy substance can reach well into the ninety percentiles when it comes to THC percentage. That is insane! Be careful however, as unless the product is properly “purged” it could contain traces of butane which you do not want to be inhaling. Especially good for dabbing, which we will get into soon. While not the most potent, hash is one of the oldest players in the game. This concentrate has been the staple of cannabis culture for decades and is created by pressing together kief and cannabis flowers using a great amount of pressure. Now this is something special. In 2003, a man named Rick Simpson created his own special CBD concentrated oil to treat his skin cancer. This very thick oil is applied directly to the skin in its main form, and has been said to help the fight against cancer. This concentrate is very specific and special, but a concentrate nonetheless. Possibly the easiest to obtain, kief is powder like resin that is found on the trichomes of the cannabis flower. These are the same glands where the terpenes originate, which helps to bring kief a very strong, and distinct flair; dependent on the strain of course. This is the stuff at the bottom of your grinder! Yes, that! Do not throw it away, use it! You will not regret it! And there you have it! Now you have a basic understanding of what concentrates are, and the various kinds. So, then what is dabbing and how does this all fit together? So now that we have an understanding of what cannabis concentrates are, we are now going to focus specifically on the Butane Hash Oil, the BHO; as that is what is used for the process of dabbing. Other concentrates have their own uses, but that is for another time. Today we will only be focusing on “Wax” from here on out. So, drum roll… What is a dab? Simply put, dabs are globs of THC oil that has been extracted using a solvent like butane or carbon dioxide. This sticky oil; is also known as wax or shatter among other things. This golden goo often contains THC well above 60% on average, and sometime well into 90%! In short, dabbing is the act of consuming BHO using the specific tools and methods, which we will explore soon. Dabbing has been around for over a decade, but the recent advances in science have led to explosions in not only the popularity of dabbing, but the effectiveness as well. With the extreme potency of wax, it is quickly becoming a medical tool for those suffering from ailments such as chronic pain, cancer, etc. It is no wonder that it is gaining popularity so quickly with how powerful wax is. The way by which cannabis concentrates are made is a truly amazing process. Of course, there are a bunch of different extraction methods, just as there are a bunch of different concentrates. With each extraction method, we can see varying end results. From “shatter,” “wax” and others, there are various types of concentrates that are made from the essential oils of the marijuana plant. You can end with a different product depending on the extraction method used. 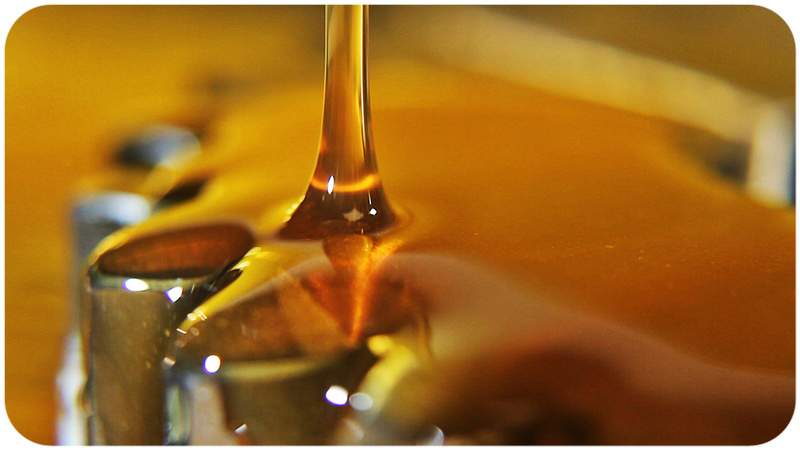 However, all concentrates can have similar effects regardless of the extraction process. One of the oldest methods typically used for hash. Uses CO2 and fancy science equipment to pull out the essential oils. This can leave some remnants of the solvent left behind if not purified afterwards. The newest and quickly becoming the most popular method. The Roslin Method uses heat and pressure to withdraw a pure oil with no solvents. This is the most common method and involves passing butane through the material to remove all the terpenes and cannabinoids from the plant. This can leave butane in the product, however, and often needs purification. This method can be dangerous if not done correctly. There you have it! Of course, you will need to do a lot more homework if you plan on doing any extraction on your own. But, you now have a basic idea of just exactly what extraction is and how it works. So now that we have an understanding of what dabbing is, and what it involves, how do you do it? Well, there are two main methods that most people consider to be dabbing. By far the older method of the two, dabbing involving a rig can sometimes be quite a process all in of itself, however in the end is considered more than worth it by users. Rig – which is a special type of water pipe made for concentrates. Handheld Torch (kitchen torches will do, etc. ), but some are made for this purpose. 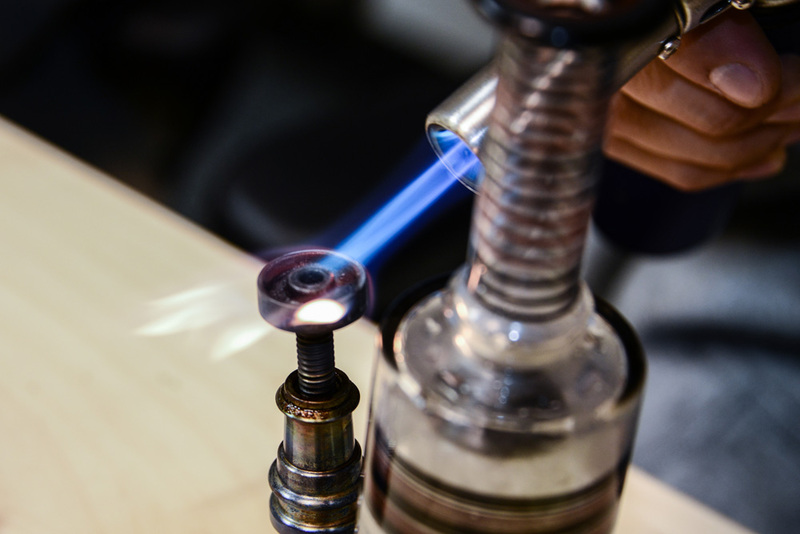 Dome – which is a glass piece that covers the nail to make sure the vapors don’t escape. Nail – which is typically ceramic or metal, is where the concentrates are placed. Dab Tool – which is a simple spoon like piece to handle the concentrates with. Now that you have everything, it’s pretty simple. Grab your concentrate, heat the nail, place the concentrate on said nail, cover it with the dome, and inhale! And that’s about all that is involved with dabbing via a rig! Some people find it intimidating, but it can be an awesome experience once you get the hang of it. Taking the world by storm, vaporizers can be used for a wide range of things; including dabbing. However, you have multiple options with vaporizers. With vaporizers however, you have multiple options. Dab using vaporizers made for oils and concentrates. With this method, you can have far greater control over what you are getting with temperature control, and thus the effects can vary. However, either option will really come down to personal opinion. Both get the job done! Now that we are all on the same page when it comes to dabs, let’s discuss just exactly what dabbing does. After all, now that you have all this information, it would be nice to know what it did, wouldn’t it? Well, we have you covered! Simply put, dabbing will provide you the same effects as consuming cannabis flower. Just in a much more concentrated manner. Typically, the strongest strains that you will come across in flower will be around 20-30%. CBD, and other cannabinoids will be almost negligible. However, with concentrates, especially those that use extraction methods without solvents, can reach 90% This makes for an entirely separate feeling. While it can be linked back to traditional smoking, the feeling is absolutely more intense. There are even some concentrate strains that are over 50% in CBD alone; which is absolutely incredible for medical patients and those who prefer high CBD strains. Consuming such pure and concentrated cannabinoids can have extremely positive medical effects; both physically and mentally. Any benefits that we can see with cannabis can be increased by the use of concentrates. You are consuming the same cannabinoids; you are consuming much more and in a much purer form. In fact, many people who are against medical marijuana protest on the grounds that there are so many other possibly harmful, or at least untested chemicals, in the plant itself. Dabbing concentrates could circumvent these concerns and issues. Are There Any Dangers To Dabbing? Now, as with all things, nothing in this world is perfect. Dabbing is no different. Just as the use of cannabis can have some negative effects associated with it, dabbing can mirror this; in addition with some of its own unique issues. There are two main issues that can occur when it comes to dabbing, and they relate to how much you consume, and back again to the extraction process. Unlike traditional marijuana; it seems that a person can consume too much cannabis concentrates. However, this is not fatal, nor incur any lasting effects. If one consumes too much, for example, the individual may pass out, to wake up some time later. That’s about it and even then, the amount that would need to be consumed is a great deal. The second issue that one can run into relates to the quality of the product itself. If the method of extraction involved solvents, and the extraction process was not done properly or purified correctly, then you could end up consuming much more butane (or other chemicals) than intended. As far as the concentrate itself? There does not seem to be really any negatives. So, the golden question, should you dab? Well, that like most things really comes down to personal preference. If you are new to the world of marijuana, it might be a good idea to start small and work your way up to dabbing. But if you are an experienced smoker, or are searching for some serious medical relief, then dabbing could really be up your alley. The only way to really know will be to find out for yourself! These days, the world of cannabis is very different from anything our forefathers, even our parents or grandparents would recognize. We have so many various ways to consume cannabis that it can easily be overwhelming. Hopefully you have a much better understanding of just exactly what dabbing is so that you can better expand your knowledge of the modern cannabis world.